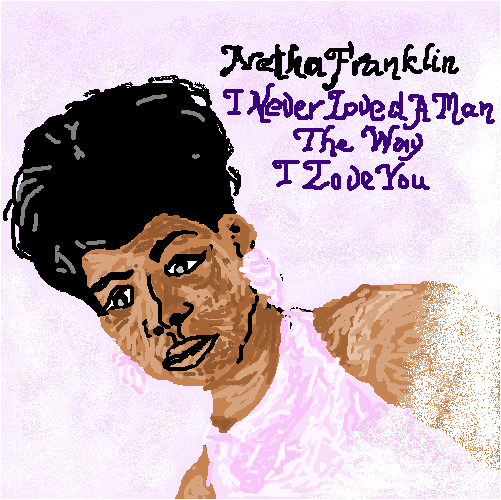 The first album up for the 60s is “I Never Loved A Man The Way I Love You” by Aretha Franklin. And we’re off to a strong start with this one kids! In 2002, Rolling Stone magazine placed the album at #1 on their “Women in Rock: 50 Essential Albums” list. In 2004 they placed Aretha at #9 in their “100 Greatest Artists of All Time“. In 2003, the album was ranked #83 on their list of the “500 Greatest Albums Of All Time“. Just recently they ranked Aretha Franklin as the #1 in the “100 Greatest Singers of All Time”. And you know why? Because it’s all true. These accolades didn’t come with ease though. “I Never Loved a Man the Way I Love You” was Franklin’s tenth release in as many as six years. She began her career with Colombia who never realised her full potential and had her sing jazz-influenced pop and later ‘girl group’ songs such as ‘The Shoop Shoop Song’ and ‘Mockingbird’. It took Jerry Wexler of Atlantic Records giving her the freedom to just sing from her soul with the backing of her sisters Erma and Carolyn (known as The Sweet Inspirations) before we saw what Aretha was really capable of. As he stated at the time “we’re gonna put her back in church”. Not only did she co-write four of the tracks and played piano on the recordings, for the first time she had control of the arrangements. This coupled with the fact that Wexler had her record with southern musicians allowed Aretha to finally show her soulful, gospel side. This combination put her on the map and rightfully gave her the ‘Queen of Soul’ title. “I Never Loved a Man the Way I Loved You” gave Aretha two hit songs in the title track ‘I Never Loved a Man (the Way I Love You)’ and the song ‘Respect’. I first became familiar with the work of Aretha Franklin when I spent a year living in Sydney. I had a flat mate who would get up early to cook us all breakfast. It seemed in order to bring out his finest breakfast cooking skills, he required Aretha Franklin to be playing. Really loud. Lucky for him he cooked great bacon and Aretha Franklin is not too offensive as an early morning soundtrack. 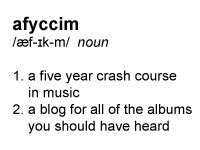 Because of this I was already familiar with some of the songs on the album. The more I listened over the week the more I found it hard to believe that this album was recorded when Aretha was just 25 years of age. The album opens with the Otis Redding track Respect. By switching the gender roles Aretha not only created an anthem for all women, but it also become an enormously powerful song for blacks and the impending civil rights movement. Keeping with this theme she covered Sam Cooke’s ‘A Change is Gonna Come’, with the soulful croons making it seem somewhat more personal. For me it’s the soulful ballads that work best including ‘Drown In My Own Tears’ with its bluesy piano introduction. ‘Baby, Baby, Baby’ with its all too familiar theme of love gone wrong (and those vocal shrills at the end there? … Mariah Carey owes you her career for those). And not to forgot the stunning ‘Do Right Woman, Do Right Man’… ten years after first hearing this song I’m yet to find a better version. When Aretha is at her best there is something in her delivery that has you there with her every step of the way. Even in the more poppy, throw away moments you are still drawn in by the sincerity and depth which belies her young age. I dare you to listen to this album and not have Aretha make you fall in love with her. “I Never Loved A Man The Way I Love You” is a great album, and one of my favourite albums on the list. I was actually quite surprised to find out this was Aretha Franklin’s tenth album! From the upbeat ‘Respect’, to the soulful ‘Drown In My Own Tears’, Aretha doesn’t fail to deliver on any track. However, it does seem to rely quite heavily on the vocals and piano, as drums and guitar are almost non-existent. I’m not a huge fan of a Hammond organ, but it is a pretty integral aspect of the Motown sound, and it was used to full effect during the recording of the album. My favourite track from this album started out as ‘Respect’, but after a few more listens, ‘Good Times’ took that honour. It’s a song that really puts a smile on your face, and I defy anyone to not tap their toes to it. Another favourite was ‘Soul Serenade’, which I hadn’t taken much notice of before, but I woke up with it in my head one morning and it wouldn’t leave. I really enjoyed this album, and it’s one of the albums from the list that will be remaining on my iPod. If you’d asked me a week ago ‘What is Aretha all about’ I would have answered with the obvious retort of ‘R.E.S.P.E.C.T”. But now I know what Cat Power was talking about when she sang ‘Aretha, sing a song for me’. This album really is the ultimate tribute to the female psyche. Listening to this album, I experienced a journey through the emotions that we as women feel from time to time; the vulnerability evoked by ‘Save me’, the ballsy ‘i-don’t-need-a-man’, in-your-face attitude of the notorious ‘Respect’, and the sensuality of a woman in love (‘Baby, Baby, Baby’). Having never really listened to Aretha before, I hadn’t ever realised the profound influence she has had on her contemporaries and realised that I saw hints of her style in music in the likes of Beyonce, Duffy, and Adele. Aretha sings with such passion and her powerhouse voice just really cuts through you and leaves an indelible mark. I also felt that each time I listened to it, the songs took on different meanings depending on my mood at the time, or alternatively, how much wine I’d drank during the process! Overall, a killer album, so much fun to listen to and completely poignant for me since I’m just sorta kinda getting into this love thing. Absolutely loved it and to be honest was a bit annoyed at myself that I hadn’t heard it earlier. Highlights were definitely ‘Baby, Baby, Baby’ and the samba-esque ‘Don’t Let me Lose this Dream’, (must admit there was some couch dancing and a little bit of car dancing too) which has become a new favourite on the iPod. If loving Aretha is so wrong, then arrest me, I’m guilty of this crime. 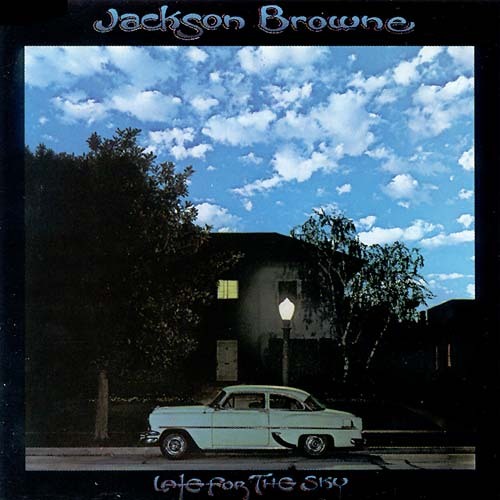 This album kicks off with one of the best cover versions of all time. Legend has it that when Otis Redding heard Aretha’s take on ‘Respect’ he mourned that she’d stolen his song, possibly a mix of dismay and admiration. It’s an excellent reworking that has eclipsed the original, and no doubt fed many drunken karaoke sessions around the world. Although the album starts on such a high note, it doesn’t all go downhill from there, far from it. Swapping from soulful ballads to funky grooves with ease, Aretha is in exceptional vocal form. Armed with a great set of songs and a fabulous band this record is a true showcase of an artist at her peak. As wonderful as the supporting musicians are, make no mistake: this is Aretha’s album and every song highlights her ability to make it her own. Several times on the title track her voice almost threatens to break through the speakers. I must confess that I had only heard the Commitments’ versions of that song and ‘Do Right Woman, Do Right Man’ before listening to this – I know, I know, but I’m all Aretha-d up now. My other favourites were ‘Drown In My Own Tears’ and ‘Dr. Feelgood (Love Is a Serious Business)’. This album is truly exceptional, and damn worthy of your ears.